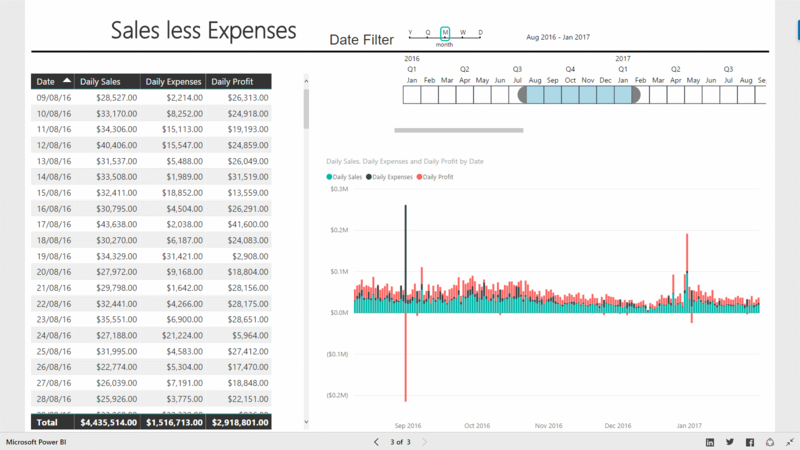 Profitability, Revenue & Expense Dashboards that have great visuals put you in a better position to make sense of your Sales & POS Data (that's often buried in spread-sheets) allowing you to take action instantly if issues arise. How well are your sales tracking and your expenses being controlled? Instantly view up-to-date Profit, Revenue & Expense the minute your spreadsheet is updated. Figures are great, but once they are presented visually you can see trends, compare sales over periods and drill into the information you need to take the right action. View KPI's, sales trends and monitor your best and worst performing products to determine which to promote and which to cut. Keep your finger on the pulse even when you are away from your business. Use your smartphone, tablet or computer to login to your profitability, revenue & expense dashboards using any browser. Click the image below to view a sample Financials Dashboard.